Dr. Mohamed Abdilahi Omar spoke of Somaliland’s proud achievements and future aspirations, and urged foreign investors to consider Somaliland’s potential at the SORIC Investment Conference in Kenya. The minister of foreign affairs Dr Mohamed Abdilahi Omar currently in Nairobi Kenya on official duties pertaining to UN protocols discussions took time to participate at the on-going business and investment promotion conference organised by a Somaliland-registered company, Hanvard, and attended by Somaliland, Somalia and Kenya officials and business companies at the at the Kenyatta International Conference Centre. Below are verbatim excerpts of a speech delivered by Dr Omar at the Soric Investment Conference. it is a great pleasure to deliver an opening speech at this regional investment promotion conference on behalf of the government of Somaliland. First of all, I would like to thank Hanvard Africa for organising this conference, and the Kenyan Chamber of Commerce for supporting it. The Somaliland people have witnessed a great deal of progress over the last 20 years of self-governance. Peace has been restored through our own efforts, democratic systems have been established and have continued to evolve after five successful elections at the presidential, parliamentary and local government levels; and professionalised security forces protect the population from terrorism, and organised crime. Now that the foundations have been put in place, it is time to build on these achievements by using foreign direct investment and local capacities to promote economic growth and job creation. The present moment is full of promise for Somaliland's economy. 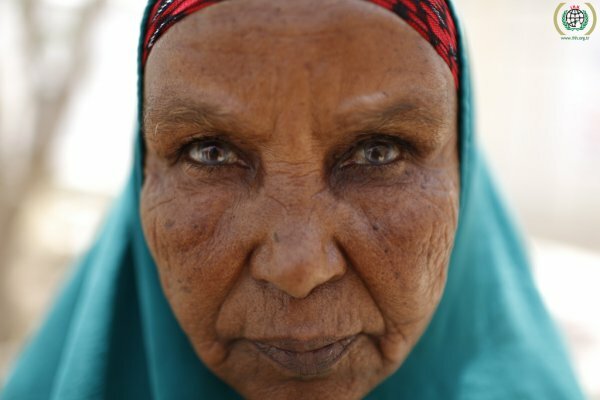 Somaliland has recently welcomed the New Deal for Engagement in Fragile States, which will inaugurate a new partnership between donors and the government that better responds to the needs of the population. The UK-DANIDA Somaliland Trust Fund, due to become operational within a few months, has provided a unique mechanism for government-led development, combining government management of funding with donor oversight. Various foreign governments have shown interest in contributing to this fund. Somaliland has deepened its economic engagement with foreign governments, both within the region and beyond. With Ethiopia, Somaliland has intensified two-way trade, cooperated over use of the Berbera port, and is engaging in negotiations to finalise their first official bilateral strategic cooperation agreement. Djibouti has invested heavily in Somaliland's economy, including investing roughly $15 million in a Coca Cola factory last year. Somaliland has used diplomacy to help facilitate FDI from Turkey, the UAE, Egypt and China into Somaliland's key sectors such as livestock and fishery. Berbera port is a strategic hub for trade between the Middle East and Africa, and the feasibility studies have already been undertaken for the development of the Berbera port and corridor. Somaliland Seeks to channel public investment and donor support to building institutions, infrastructure, social services and macroeconomic foundations that are conducive to foreign investment, international competitiveness, job creation and sustainable growth. The private sector accounts for 90% of Somaliland's GDP, and the Government understands that the private sector has a role to play in both partnering with the public sector in performing the functions of the state, and stimulating and propelling economic development. The Somaliland government has fostered an environment where private and donor funds can make a great impact, and in which our government shares in the responsibility of development activities. Thanks to stringent public financial management, increased tax revenue and more safeguards against corruption, Somaliland's 2013 budget is the largest and most balanced in its history. Moreover the government has no debt. Our children receive free primary education; we are expanding medical services and water distribution in urban and rural areas; and our mobile banking and money transfer industries have allowed for commerce to flourish. Somaliland is an internationally competitive exporter of livestock. Livestock exports account for around 60% of Somaliland's national income, chiefly to the Gulf States, but great potential exists for Somaliland to capture further global market shares and stages of the value chain. For example, there is scope to build a tanning and leather industry which will exploit the 6.9 million pieces of hides and skins which Somaliland produces annually. We have a fishery sector whose potential annual sustainable production is estimated at 40,000 tons. Through new technologies, drought-resistant crops, better practices and research, Somaliland's agriculture industry can take off. Somaliland's deposits of oil, gas and coal are attracting the attention of international investors, and agreements have been reached with Genel, DNO, Ophir and others over exploration and production rights. These contracts show investor confidence in our country's stability, and point to a bright future in which oil revenues can help drive economic growth and provide benefits to the people. There is also huge potential for renewable energy. Pilot projects in wind and solar energy are underway, and the legal environment is being reformed to better regulate the sector and protect investors. Somaliland also has large proven deposits of minerals including gypsum, gold, iron, lead, and quartz; and gemstones such as emeralds, rubies, garnets, sapphires, aquamarines and opals. The services sector will be enhanced by the new fibre optic cables which are being laid between Somaliland's major cities and towns, which also provide connectivity with the outside world. This new infrastructure will revolutionise the way in which business is done in our country, and provide new opportunities, including in financial services. In the past few years, information on Somaliland's business environment has grown exponentially. USAID has worked with the Ministry and Chamber of Commerce to publish a business confidence survey and will soon put out an investment guide; the World Bank has produced a report mapping out Somaliland's business regulatory framework; and the Chamber of Commerce has developed a business directory. Soon, Somaliland will host its third annual trade fair bringing together foreign and domestic investors and businesses. Such information is crucial in helping investors discover opportunities, especially in the export-oriented industries. Somaliland is reforming its once cumbersome regulatory framework to better promote investment. An Investment Climate Unit has been established within the Ministry of Commerce to streamline business registration. Important legislation—such as the Foreign Investment Law, Islamic Banking Law, Central Banking Law, Electrical Energy Act, and Commercial Banking Act—have either been passed or are making their way through parliament. And new private sector consultancies are helping to facilitate and manage partnerships between foreign investors and local businesses. Diaspora are returning in large numbers and are setting up businesses, investing in projects and real estate, and sharing their knowledge and experience with the private and public sectors. New diaspora-led initiatives are finding creative ways to compensate for the lack of a formal commercial banking sector by forming partnerships with innovative financing vehicles, and business development services have proliferated to support the growing small and medium-size enterprise sector. Separate business matching grant initiatives have been initiated by USAID, the World Bank and SIDA, and many viable Somaliland businesses have received funding or shown interest. While youth unemployment remains worryingly high, the country's government, civil society and private sector are working together to help encourage job creation. A new generation of skilled youth are graduating from universities, several of which are satellites of established universities in Ethiopia and Kenya. The Ministry of Labour is working with ILO on an upcoming employment conference; while other NGOs and youth organisations are carrying out job fairs, youth entrepreneurship contests, cell phone-based employment matching and vocational training sessions. While these measures are important, only sustained national economic growth will provide decent livelihoods for the majority of Somaliland's youth. Somaliland has made many impressive gains in creating a favourable investment climate, but more international donor and investment support is needed. A main priority is infrastructure, including technical schools, hospitals, sports stadiums, energy generators, irrigation dams, mobile courts, police stations, research centres and roads. But the main obstacle to major foreign direct investment has been ignorance of Somaliland's well-established peace and stability as well as its economic potential on the part of international investors. Somaliland is at a much more advanced stage of development and investors and donors must acknowledge this reality. The start of new investment into Somaliland has shown that these attitudes are beginning to change, and my Government welcomes investors to come and see for themselves the unexplored and untapped opportunities that our country has to offer. As Somalia and Somaliland look to build a secure and prosperous future, the first Somali Reconstruction and Investment Conference and Exhibition (SORIC), will be held in Nairobi, Kenya on 28-29 May 2013 at the Kenyatta International Conference Centre. This ground breaking event will be the first of its kind to bring together key policy makers from the Government of Somalia and Somaliland, top decision makers from international and regional development organizations, and participants from the public and private sector. It is the only event of its kind fully endorsed by the Federal Government of Somalia and supported by the Ministry of Trade, the Somali Chamber of Commerce and Industry, and the Kenya National Chamber of Commerce. A new era has dawned on Somalia and Somaliland and the country is embarking on a dynamic path of political and economic renewal after long-running civil strife and political turmoil. After 22 years of civil war that ravaged the country, peace is finally returning. There are encouraging signs of progress and hope. The Somali government has been recognised by the United States of America, Great Britain, the European Union, Turkey, United Arab Emirates, the African Union, World Bank and IMF. The diaspora is returning home. The federal government and government of Somaliland are cooperating and engaging each other, registration of political parties has started in puntland, and normalcy is finally returning.